Philippines holds within itself the charm of a queen, the power of a king and the solidarity of a knight. It enthralls the traveller in every aspect with its royal capacities. A one-on-one interaction with this lovely country must figure on your bucket list for the simple reason that a Philippines visa starts from Rs 4,599* and get it in 15 - 20 working days. For instant Philippines visa assistance, call us at 022-68311010 or fill in your details. Covering letter mentioning details of travel, details of the traveller, purpose of visit and duration of stay. The letter should be duly signed by authorised signatory with company stamp and addressed to the ‘Consulate-General of the Republic of the Philippines, Mumbai’. Note: The covering letter must be on company letter head if the applicant is self employed, and on plain paper if he/she is an employee of any firm. Bank statement reflecting transactions of last 6 months, with bank seal and sign on each page. Original School Bonafide Certificate for Minor. Income Tax Returns of the last 3 years. Leave letter original with company stamp HR sign. with authorized signatory name and designation. What documents are required for Philippines Visa application? 1) Original passport and old passports, if any. 2) Passport should be valid for at least 6 months from the return date of travel, with a minimum of two blank pages. 3) The form should be printed and filled on a single sheet of paper using both sides. 4)The photograph pasted on the application form has to be crossed signed by the applicant. 5)The photograph pasted on the application form has to be crossed signed by the applicant. 6)The photograph pasted on the application form has to be crossed signed by the applicant. 7)Original covering letter from applicant stating the applicant’s name, designation, passport details, all travel details with purpose and duration of visit. The letter should be duly signed by the applicant with his contact details and addressed to ‘Philippines Consulate, Mumbai’. 8)Bank statement reflecting transactions of last 6 months, with bank seal and sign on each page, having minimum balance of 1 lakh rupees per applicant. 9)Salary slip for last three months with company seal. 10)If the applicant is self employed, he/she must submit their company registration copy or partnership deed. In case the applicant is employed in a firm, he/she must submit the original leave sanction from the company, duly signed by the authorized signatory with his name, designation and company stamp. 11)Hotel confirmation as per travel itinerary. 12)The confirmed return air ticket showing travel itinerary. How many days does it take to process a Philippines visa? The processing time is 15 - 20 working days once the application and documents are submitted to the Philippines Embassy/Consulate. Do the Philippines Consulate allow third parties to collect visa on behalf of the applicant? No. Philippines Consulate doesn’t allow third parties to collect visa on behalf of the applicant. 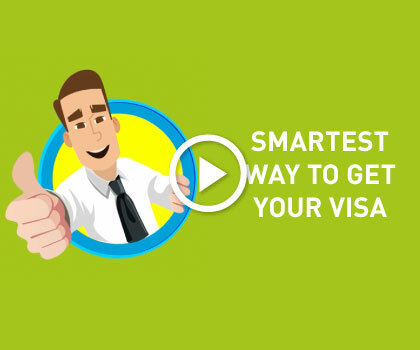 Download the visa form - Mumbai consulate | Delhi consulate | Chennai consulate. If you are applying at the Mumbai consulate, the visa process will take 15 - 20 working days. If the applicant's place of collection of documents is in Mumbai, an additional courier fee of Rs 300 will be applicable. If place other than Mumbai, an additional courier fee of Rs 700 will be applicable on Philippines tourist visa fees. The photograph pasted on the form with a cross signature. Form should be printed back to back.